In a lot of ways, Google has become the gatekeeper of the modern Internet. Google is in a constant process of refining their search placement and SEO sorting algorithms. These days, the popularity of mobile browsing has pushed sites which feature responsive design principles to the forefront of Google’s search results. Google empirically treats responsive design as a best practice when developing a website. Even going as far as to provide a “mobile-friendly test tool” to allow devs to make sure their work adheres to Google’s recommended practices. Mobile traffic has been on the rise for several consecutive years, and shows no signs of stopping. According to We Are Social and Hootsuite’s “Digital in 2017: Global Overview”, as of January 2017, half the world now has internet access, and half of all internet traffic comes from mobile devices. In 2017, it’s become quite integral that professional websites cater to the biggest sources of their traffic; rather than retreat to the comfort and familiarity of the desktop-first workflow. These days, designers and developers across the web are embracing technology and design principles that provide the best possible experience to mobile users. Rigid desktop-centric experiences which don’t operate properly in mobile devices are rightfully becoming a thing of the past. With the massive array of different devices available to consumers, it is becoming more and more important that sites are able to provide an adaptable, responsive experience regardless of the end user’s hardware. Sites which do not adopt mobile-friendly design principles will never be able to compete in the mobile web space with sites which embrace those principles. It was only a few years ago the there was still an argument to be had in the debate of Progressive Enhancement vs. Graceful Degradation. As developers, we no longer need to speculate on whether or not mobile device browsing will “catch on” now that mobile devices account for the majority share of Internet traffic. As a workflow, progressive enhancement is always focused on providing a responsive, flexible environment as the bedrock of a project, rather than treating responsive design as a goal or feature. This isn’t to say that desktop experiences need to become an afterthought. But rather, the finished desktop experience should not be treated as the starting point for a site’s overall design. 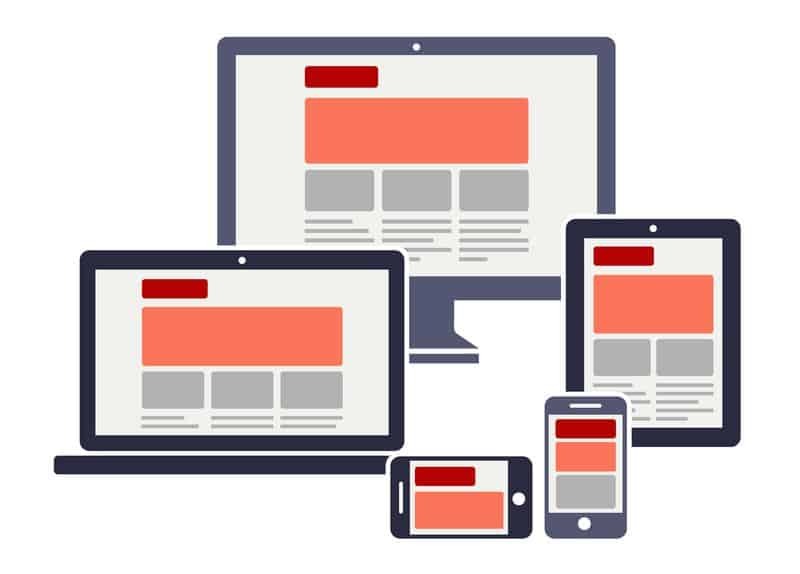 Responsive design isn’t about “putting mobile first” so much as it’s about making your site look it’s best regardless of user hardware. Here at User Theory we utilize the principle of Progressive Enhancement on all of our projects, and strive for a beautiful, well-optimized user experience across all platforms. According to Hootsuite, the number of active mobile social media users increased by nearly 50% in 2016. And global social media usage has risen by 21% in the last year alone. It is important that websites adhere to responsive design principles in order to truly tap into social media as a traffic source. Especially if you plan on utilizing ads within a platform like Facebook or Twitter. Mobile users may not give your site a second chance if they click an ad on Facebook only to be directed to a desktop centric experience that is barely usable on their hardware. Google AdSense also explicitly states that preparing a site for multiple screen sizes is a best practice for the AdSense platform. Responsive design is also capable of drastically reducing the workload and upkeep for a web site. Simply put, it’s much easier to manage a single website that can be launched in a variety of environments; rather than creating and managing two or more versions for desktop and mobile devices. It’s simple – why pay to develop and upkeep two sites instead of one? Not only is the code base a lot more manageable for the developers; but this practice will also reduce a great deal of wasted man hours for what essentially amounts to duplicate work. Not to mention how much easier a single site is to manage for our customers. In keeping with our commitment to beautiful, lightweight, intuitive results for our clients, User Theory is always committed to finding a single-site solution for our clients.